Hello everyone! 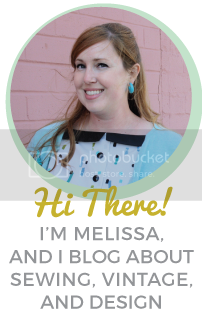 Welcome to the latest edition of my Thrifty Thursday posts, where I share my thrift store/garage sale/flea market finds for the week. We found some great stuff for our space this week! 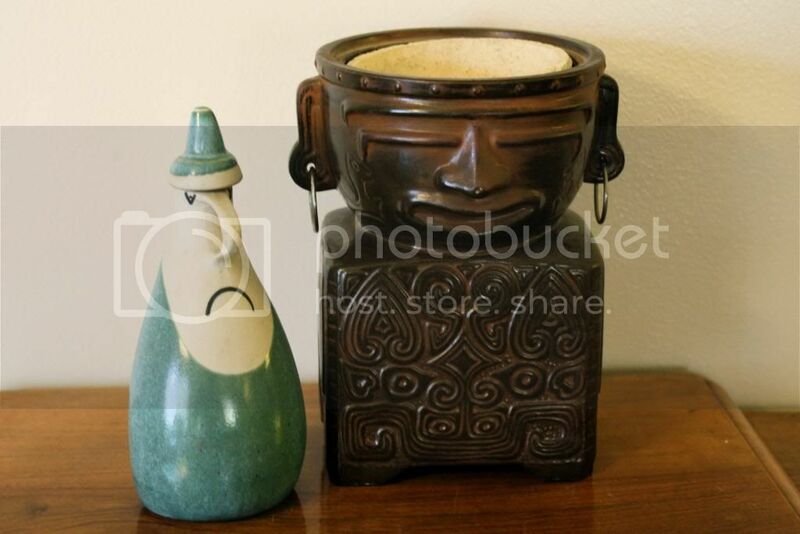 A mid-century clay bottle with a funny face and a tiki brasier (unfortunately missing the grill on the top). They’re both in the antique space. 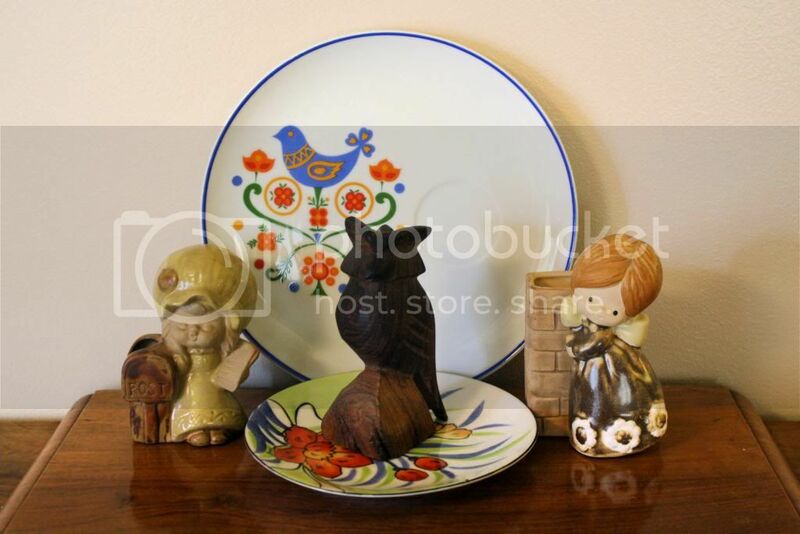 A plate with a cute Scandinavian bird motif, some cute little statues, a wooden owl, and a floral saucer. 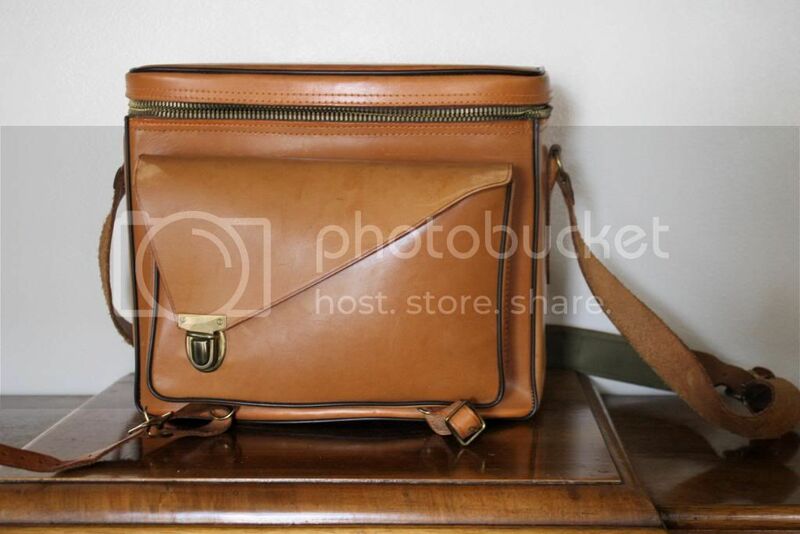 This cool leather bag was given to us by Phillip’s stepmom, who inherited it from a relative. I think I’m going to start keeping my camera in this! 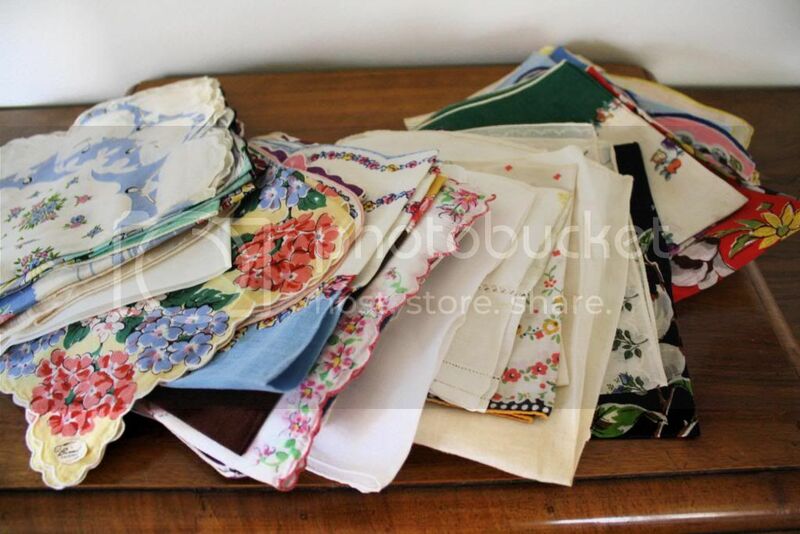 We scored a huge stack of vintage hankies with great prints. Most will be going in the space (except for the ones I’ll keep, of course!). 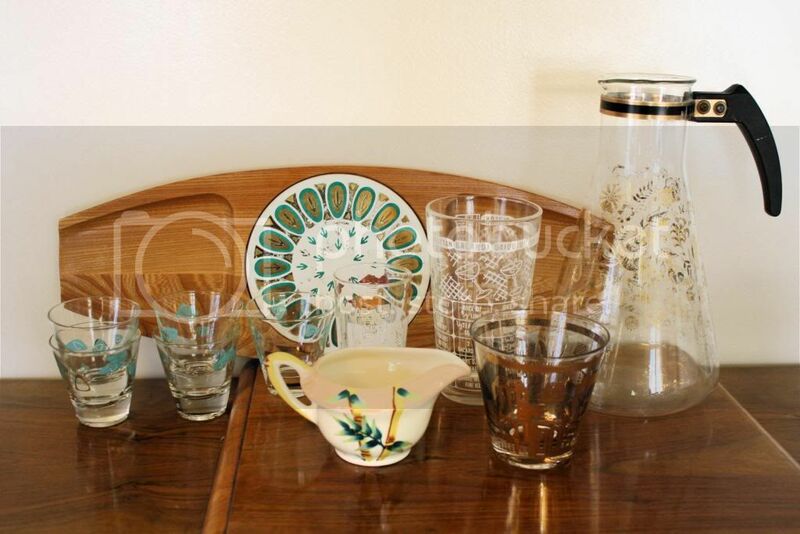 Phillip found all of this great sixties barware and this creamer in one trip! 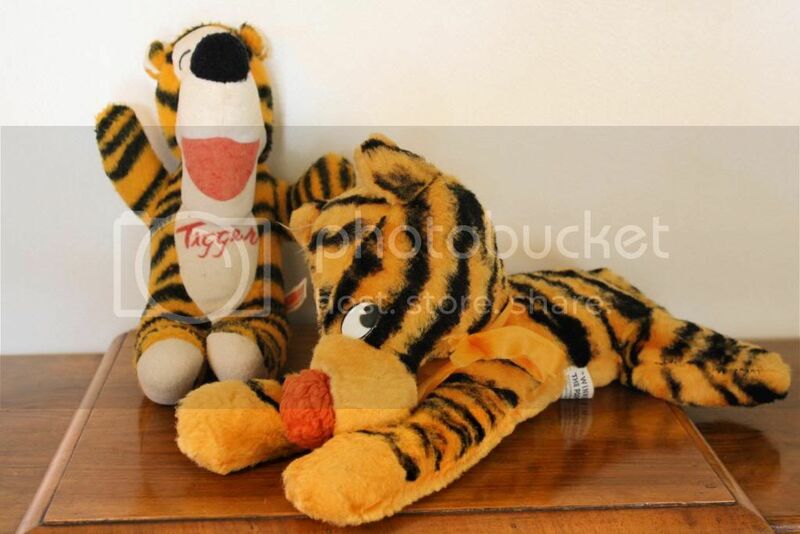 A couple of vintage Tigger stuffed animals. 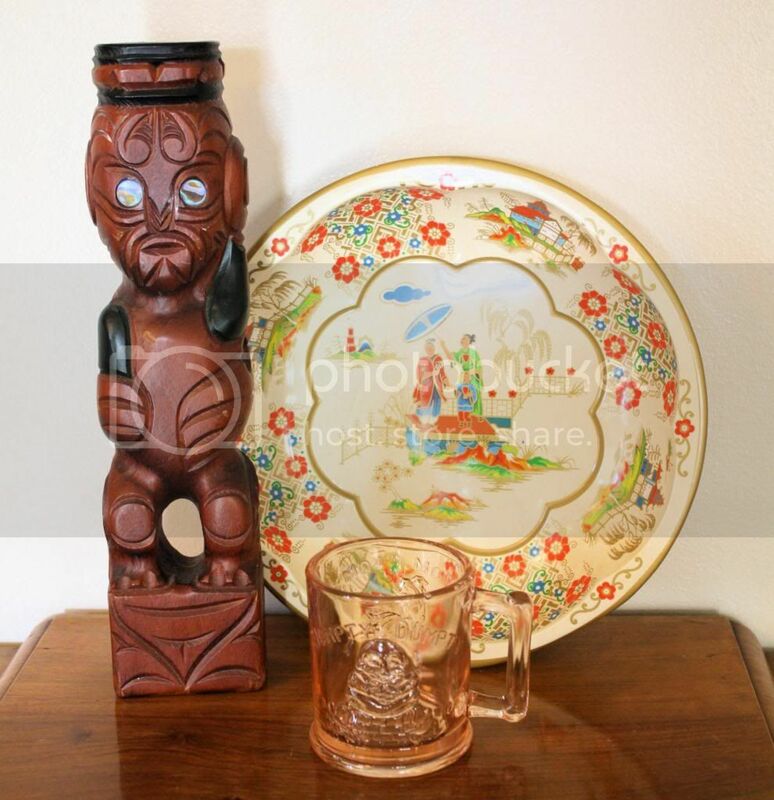 Lastly, a Maori woodcarving, an Asian-motif metal tray, and a glass mug featuring Humpty Dumpty and Tom the Piper’s Son. ← My Laurel Dress is in the Voting for Reader’s Choice!